Castor and Pollux dry dog food comes in a wide array of recipes (great diversity for allergy prone dogs) and formulas (puppy, senior, etc). The Ultramix lineup has an impressive nutrient content and is our clear choice among the rest of their offerings. Castor and Pollux describes itself as a leader in the organic pet food industry, and for good reason. The company was the first certified organic dog and cat food to meet all of the requirements set out by the USDA’s National Organic Program (NOP), and continues to meet and exceed those standard today, producing a high-quality pet food to keep your dogs healthy and happy. The Castor and Pollux company places a strong emphasis on being known as an organic product, and as such you can rest assured that all of the ingredients that go into each bag are free of chemicals, hormones, antibiotics, or any of the other stuff that some competitors have that might not be the best for your dog. To ensure this standard, a USDA accredited entity oversees all of the companies purchases, to make sure only the best make it through inspection and into your dog’s bowl. All of Castor and Pollux’s food is manufactured at their facilities in Amarillo, Texas, so pet owners can rest assured that their product is always American made. Additionally, the company ensures that it sources all of its ingredients from farms right here in the United States, ensuring that they do not use any products containing some of the potentially harmful additives that might be found in meats and vegetables sourced from overseas. 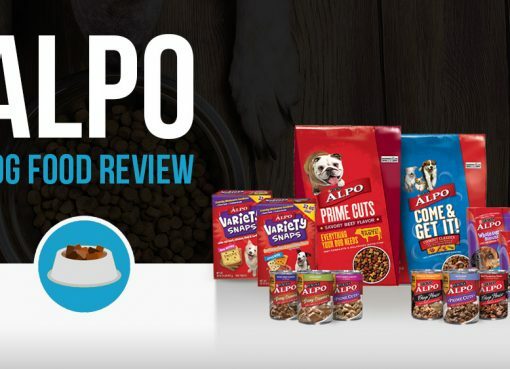 Analyzing the first 10 ingredients in a dog food is a great way to understand the overall nutrient content of the dog food because AAFCO requires all dog food ingredients to be listed in order of predominance by their weight. Here’s a closer look at what’s inside Castor & Pollux Natural UltraMix Grain-Free Real Chicken & Sweet Potato Recipe. This Ultramix Chicken and Sweet Potato recipe has incredibly high protein for a dry dog food, one of the highest we’ve seen. 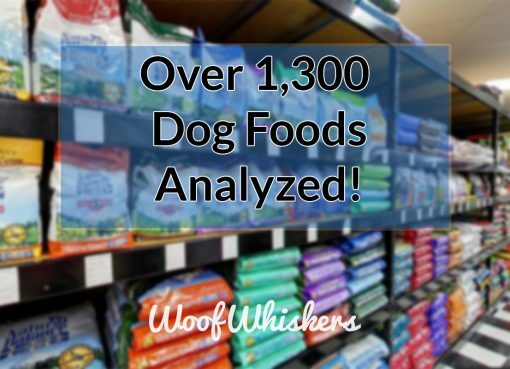 If you currently feed your dog a low quality food with low protein and plan on switching to this brand, be certain to slowly transition your pup to ensure minimal digestion issues. Beyond the excellent protein contents, you’ll see a lot of fresh vegetables and fruits for the carbs. 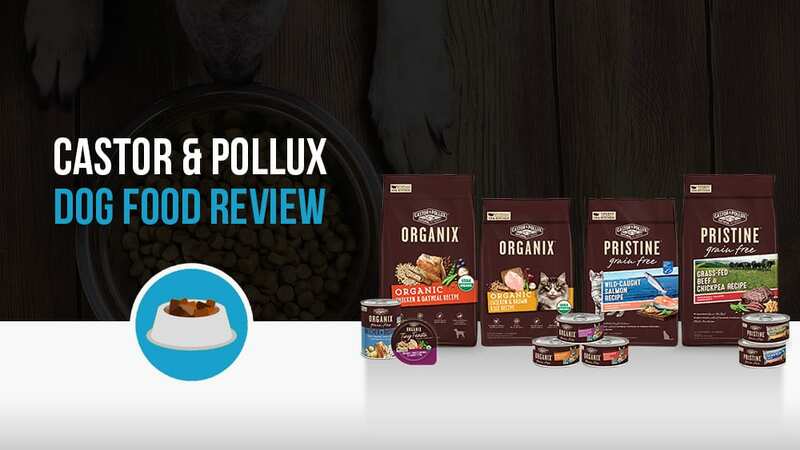 According to the company website, Castor and Pollux currently only produces three lines of dog foods, Natural Ultramix, Organix, and Pristine, although the latter two seem to be much more heavily advertised. The company also manufactures canned food, treats, and raw foods, all to supplement and add variety to their base dry kibble. Organix is the mix that really launched the company, and according to their website it is “the only complete line of USDA organically certified pet food” in the country today. All Organix foods are made either with free-range turkey or chicken as their main ingredient, are produced without chemical pesticides, synthetic fertilizers, artificial preservatives, added growth hormones or antibiotics, are GMO free, and prepared in an organically certified kitchen in the USA. Additionally, all bags of Organix and free of any corn, wheat, or soy, and have healthy pre- and probiotics, as well as Omega-3 fatty acids, added in to ensure maximum nutrition, ease of digestion, and a shiny coat for your pet. Natural Ultramix, as you might have guessed, makes use of natural ingredients to provide a high quality, balanced diet for your four-legged friends. The people at Castor and Pollux teamed up with a group of the country’s top veterinarians to produce this line, which also includes bags featuring raw bits, as well as limited ingredient diets for animals with a more sensitive stomach. All of these foods are also grain free, and have healthy Omega 3’s and 6’s added in for an extra health kick for your pet. Castor and Pollux was first founded in 2000 by Shelley Gunton and Brian Connolly at their home in Clackamas, Oregon. 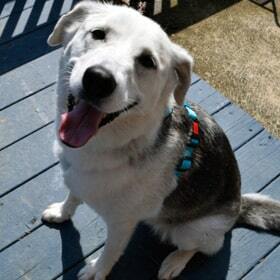 Shelley and Brian first got the idea to create an organic product after adopting Joey, a Lab/pointer mix puppy, and realizing that there was nothing on the market that suited the style of food they wanted to feed him. And thus, a business was born. As the years went on, Castor and Pollux spread out from their humble Oregonian beginnings and caught the attention of the international Merrick pet food company. Merrick purchased the company in April, 2012, and moved the company’s manufacturing facilities to Amarillo, Texas, where they remain today. 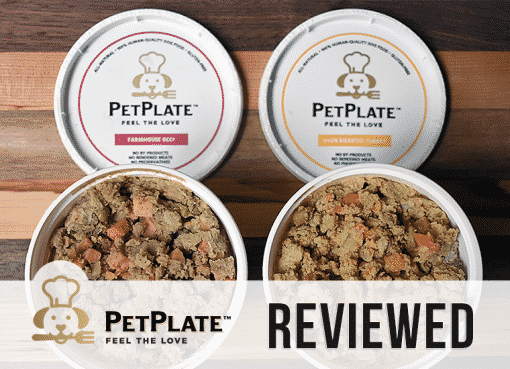 Despite the move, however, the company still maintains the high standards of their small business background, and remains one of the country’s only certified organic pet food products on the market. Over the past couple of years, Castor and Pollux has expanded from a relatively small local product to a major player that can be readily found at most of the big-name pet food retailers. Many Petco’s, PetSmart’s, and others now regularly stock Castor and Pollux products on their shelves, and it can also be found in a large number of smaller specialty shops as well. For those that prefer to do their shopping online, you can also find Castor and Pollux sold from websites like Chewwy and Amazon, as well as most other reputable online pet food retailers. The company website also provides a handy link to sites that sell their product, in addition to a store locator to let you find the closest place to buy their product in person.